I based them on the pallets from Terrain Tutor's tutorial, but I changed them slightly to better match the pallets that I see around town. 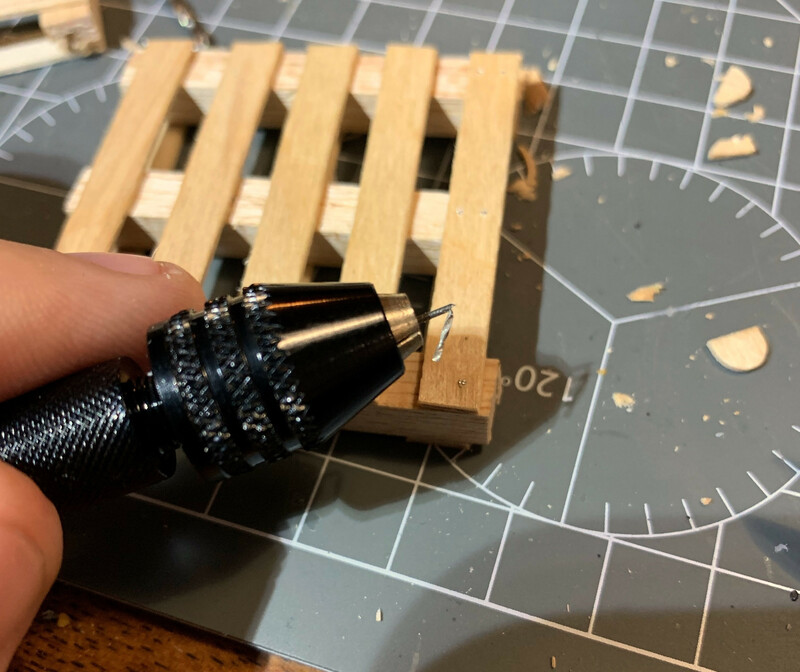 I used a pin vice drill and some wire to add "nails" to one of them for the added realism, but that was a huge pain, so I probably won't do that to any others going forward. They are super easy to make if you don't add the nails, only taking about 15 minutes a pop. Here are the pallets with a model to compare size to a mini. The pallets look great, I’m around them enough to be able to say you’ve done a good job. Add some cardboard behind single layer and you've got a great shipping container style. Have you considered using a tiny hammer and tiny nails? 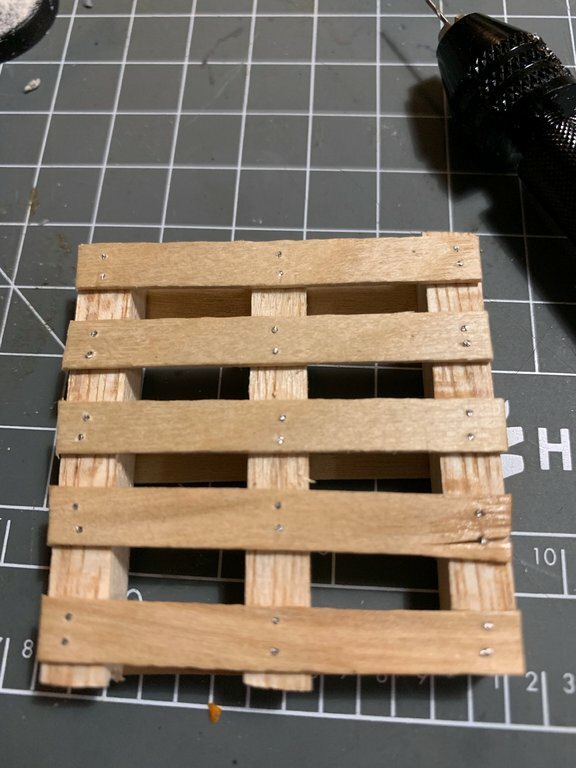 Another option, since the nails are for appearance and it's held by glue, is that you could have them only go part way into the wood. Should be easier on the drill if the hole is more shallow. Nails don't really need to line up on opposite sides, as you can only see a single side at one time. It was the pressure that I was putting on the drill to start the hole that broke it. I had to push hard to keep the drill bit from wandering. After my new set of bits came (since I couldn't find just the one bit) I used a sewing needle to start the hole. They only went about 3mm at the deepest. I wonder if anyone makes a tiny nail gun? Probably call it something else. "Hold me closer, tiny nail gun"?